What does any of this have to do with getting and giving critiques, reviews, and feedback? Absolutely everything. Identifying your target audience is the first step in getting and giving critiques that have real value. These are the people whose opinions matter. In this post on review and critiques, I am primarily referring to those performed before publication. The value I’m speaking of is the quality of the feedback in helping you improve your craft and your book. Once you have identified your target audience, the next step is to identify individuals within the target audience that like or write books that are similar to your book. This is the pool of people you want to recruit from for critiques and reviews. To identify these people join some reading and writing groups in that genre if you don’t already belong to some. There are no local groups available to some writers but there are plenty of reading and writing groups available on the internet. You may want to join some internet groups even if you are in local groups. Granted, some groups are better than others and some groups require membership fees. Those fees can vary greatly. Get to know the readers and/or writers in the groups. Look at what types of books within that genre individuals in the reading groups like most. Do the same with the writers. Most importantly don’t join the groups just for this purpose. Be an active supportive member of these groups. You could enjoy it and learn a lot in the process. There are also beta reader groups and reviewer groups. You do want to make sure that you get reviewers that love the type of writing you want to be critiqued or reviewed. I read and love a wide range of genres but there are a couple of genres I will not review for two reasons. First, I would rather poke myself in the eye with a needle than read a book in either of those genres. Second, I know I would be doing the writer a disservice because my bias would affect my review. Also, remember writer etiquette: Get a review, give a review. After the first or maybe the second draft, when the manuscript still has typos and grammar errors but the reviewer can still follow the plot and evaluate the other important aspects of the novel. This is done before any major time is spent performing line editing. Why waste time doing line editing of sections that may be cut or in need of major re-writes? The writer, at this point, has possibly done several rewrites and the manuscript has been polished and edited. Advance reader copies (ARCs) may be sent to advance readers when the writer thinks the book is almost ready for publishing. In my next posts on critiques and reviews, I will discuss each of these types of reviews and how they differ. I’ll address what the writer can do to improve their chances of getting the feedback they need. I’ll also give some tips on how reviewers can provide helpful and useful reviews at the different stages. I mentioned marketing earlier in my post and I in no way mean to diminish the importance of marketing. Before you spend countless hours and invest money in that marketing, it’s important that you at least have feedback from your targeted audience. I do not claim to be an expert on this topic. I just want to share some of the things that I have learned. If you have thoughts on this topic, please feel free to share them in the comments. I’m interested in hearing any thoughts you might want to share. There are two genres that I don’t critique either. Finding good beta readers is important. They catch a lot of things that you don’t see because your mind plays tricks on you, and joining a critique group is essential in my opinion. Even if it is not in the genre you write in you can steal learn. Hi Pat! Thanks for reading my post. That’s excellent feedback. Do you work with a local critique group or is yours online? I’d be interested to know. 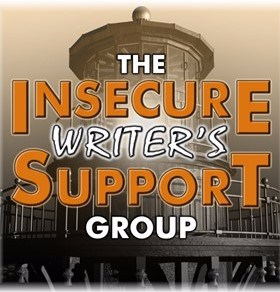 I work with Critique Circle and Becoming Writer, which are both online critique groups and they aren’t free. Your charge is based on the type of membership that you opt. I’ve also just started a closed Facebook Reader group and I’ve picked out five ladies so far to read my novel and plan to build it up ten people, maximum. I live in Germany so I don’t have a local critique group that is in English in my area that I know of. My Beta readers in my Facebook Group are excellent. They find missing words, grammar mistakes, misspellings and they asked question when they don’t think something makes sense. My critique groups, I use for the same things and I use them especially because they are impartial. They don’t know me and are more than likely to see things that both me and my Beta readers miss. I have to also say that I know an excellent editor and I turn to him and let him go over it once. He’s expensive, so I have to count my costs. However, the main thing is I believe having good critiques are essential for a writer who wants to progress in the literary world. Thanks so much for sharing that information, I agree wholeheartedly that having good critiques are essential as well as great editors. Thanks so much for your response. You are exactly right about the differences. Thanks for reading and commenting on my post! Liz, I really like your your approach to critiquing manuscripts to improve writing skills and also keeping in mind, that choosing writers and readers to critique as Beta Readers for a first or second draft makes perfect sense as well. It also saves time and money. A critique can tell a writer everything the writer needs to do for her or his particular genre and the readers that love a particular genre. In a review, what you get it is a personal opinion, but with a critique, one more or less receives a 12 point breakdown of everything that is essential to improve certain areas in a manuscript that are weak, lack luster, or useless. Thank you for your wonderful feedback. I realize going through this process may seem like it would take more time but it pays off in the long run. It actually does save time and money. I could tell a story in response to this but instead I’ll just say that a writer should do a lot of reading period but if they are going to write in a particular genre they should at least do a lot of reading in that genre before publishing in that genre. This is a very important and useful post! Thank you and thanks so much for sharing the link to this critique group. This is wonderful information to have available! Thank you for a great post. My first book will be out soon, and I’ve tried to determine my target audience. I never thought about recruiting people who have written similar books to review mine. Thank you for your advice. it’s greatly appreciated. I’m glad you enjoyed my post and I certainly hope that helps. 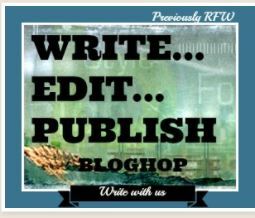 are you doing a blog tour with your book? If you can put together a bundle of books by these authors (include your book too 🙂 and use it as a giveaway during your book launch, it can help you narrow in on your target audience. I wish you the best of luck with your book!